You need to put into consideration your outfit and the overall wedding style (whether it's modern, classic or vintage). You should ensure that the outfits fit the vibe. It's common for some bridesmaids to be pregnant during the wedding. Although, the pregnant bridesmaid should wear a dress that matches that of the other bridesmaids, it's wise that you allow the pregnant bridesmaid to wear a different style that will be ideal for her body. One of the best dresses that you should go for is the empire dress. The pregnant bridesmaid can also wear a fashionable maternity dress. The location of the wedding should play a major role in deciding the best dresses for your bridesmaids. As rule of thumb you should ensure that the dresses are as comfortable as possible. For example, if you will be doing the wedding at the beach, you should go for light dresses. Remember that different people have different complexions. 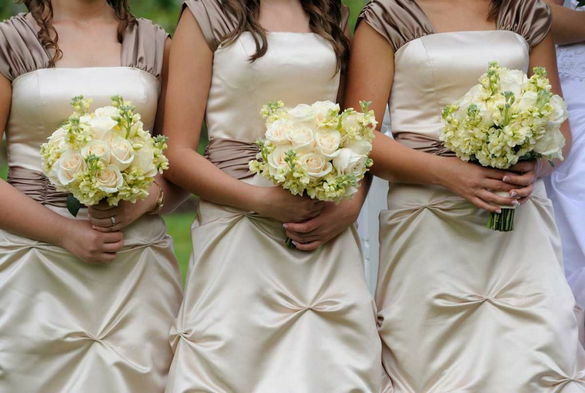 When choosing the right dresses you should consider the complexion of the bridesmaids. To be on the safe side you should go for dresses that look great on all the ladies. Paying: the bridesmaids should pay for their dresses. If you have been chosen to be a bridesmaid and you can't afford to pay for the dress you should let the bride know about it so that she can replace you or offer to pay the dress for you. Length: the bridesmaid dress can be of any length, but you should ensure that the dress isn't longer than the bride's. During the day, bridesmaids should wear tea length or knee length dresses. At night they should wear floor length dresses. Accessories: the bridesmaids should choose their own shoes and jewelry; however, if you are the bride and you feel that the bridesmaids should wear specific jewelry, you should consider buying the jewelry for them. This is what you need to know about bridesmaid dresses. For the bridesmaids to wear the dresses after the wedding, it's good that you go for designs and colors that aren't too formal. For the dresses to be durable you should buy them from a reputable store.